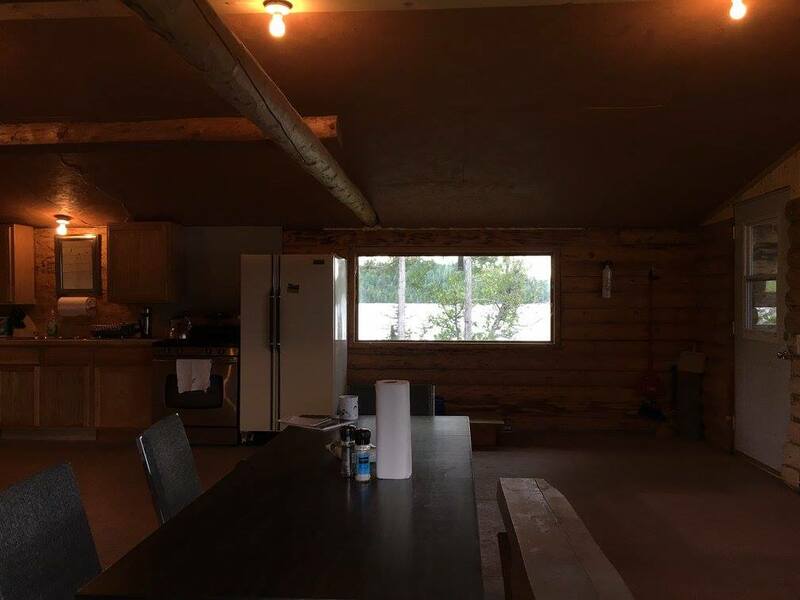 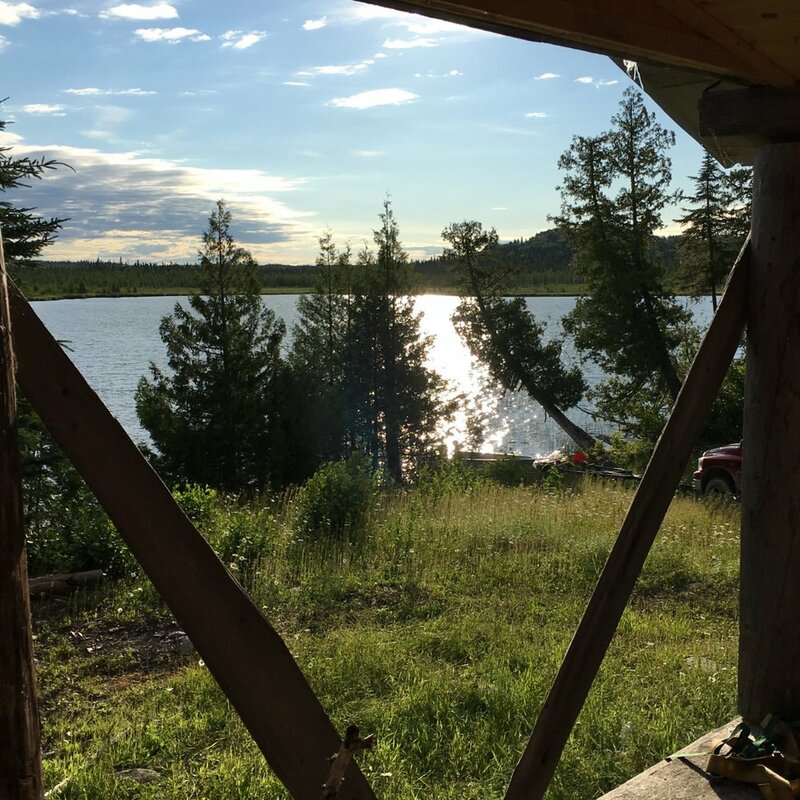 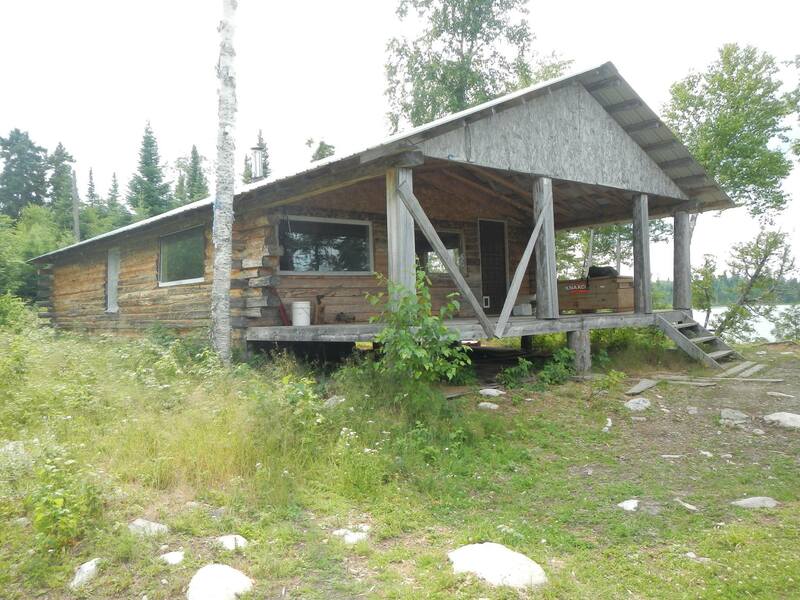 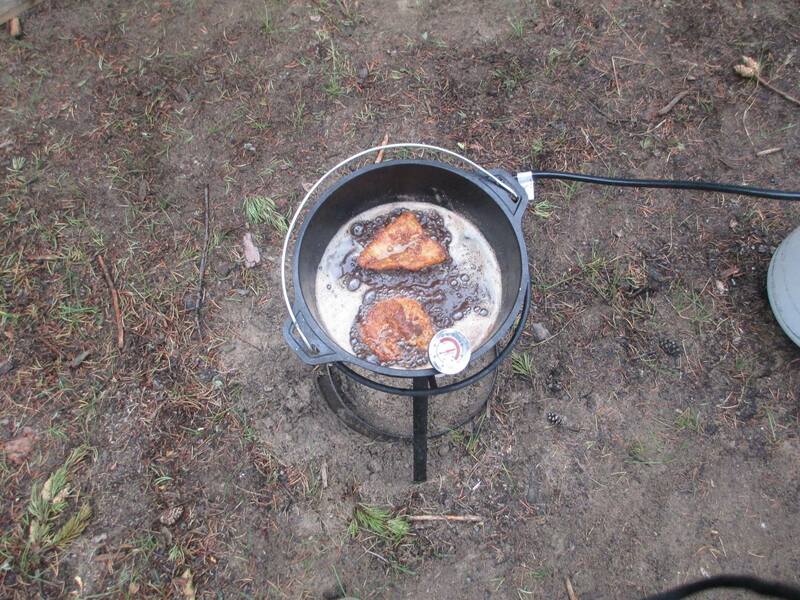 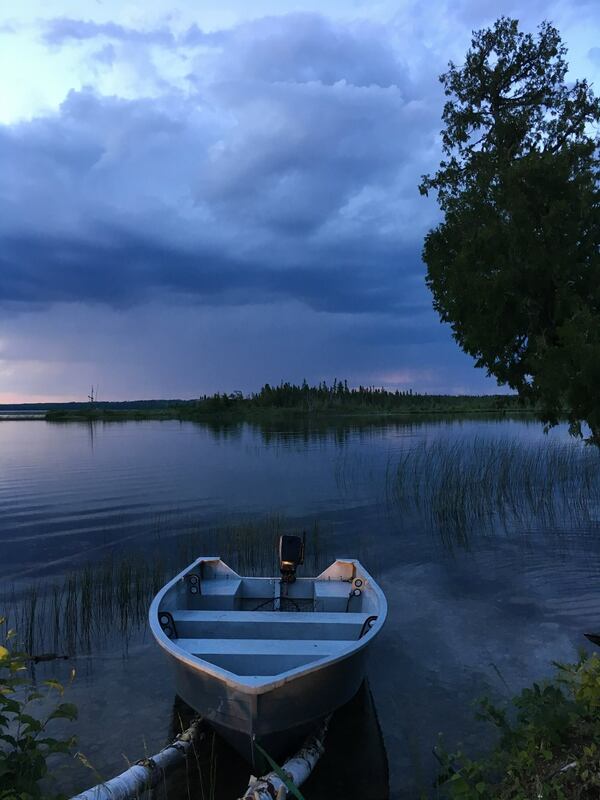 The Hanover Lake outpost camp is a drive-to cabin about 25 miles north and west of the village of Nakina. 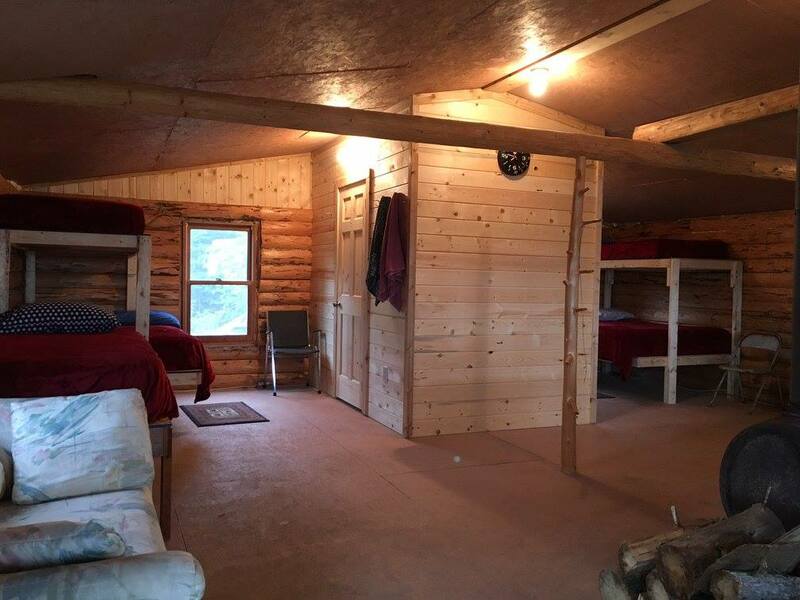 If you’re visiting with a large group, this is the outpost for you! 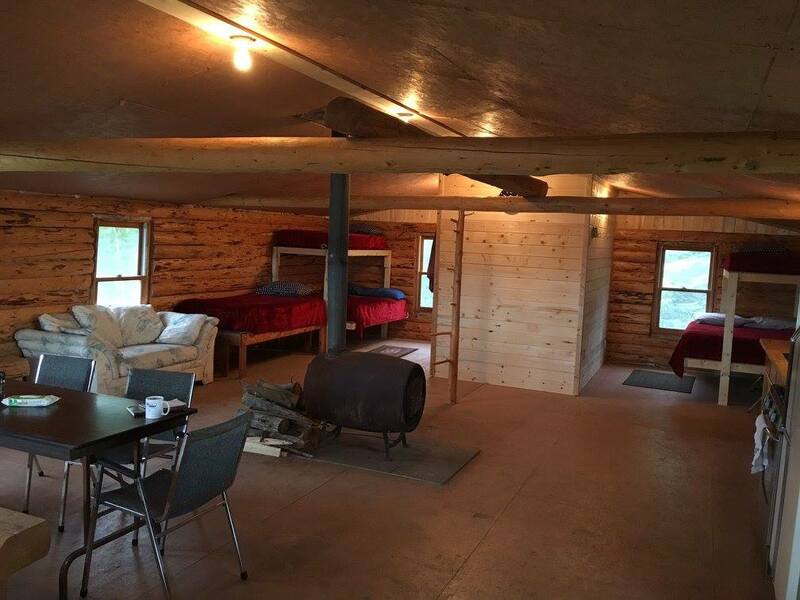 Hanover can accommodate up to 14 guests and because it is a drive to outpost, getting there is a breeze! 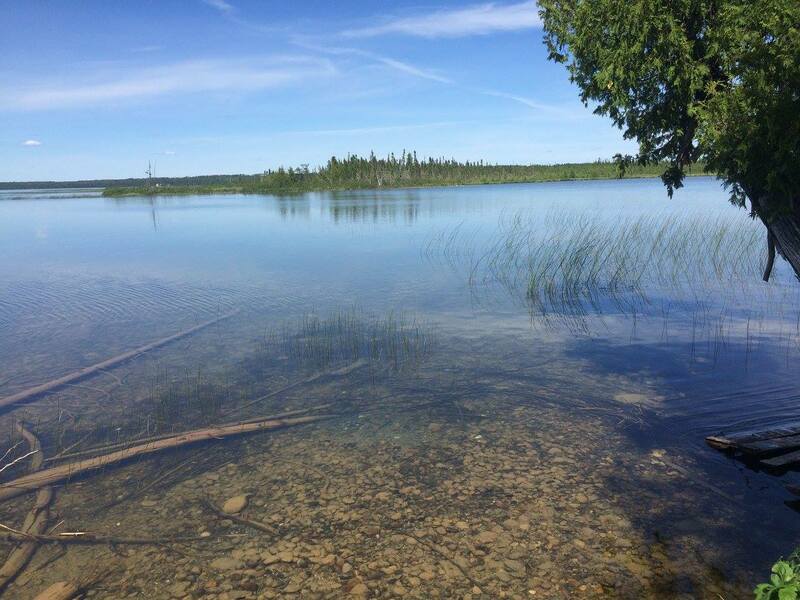 The best part about Hanover – we’re the only outpost on the whole lake! 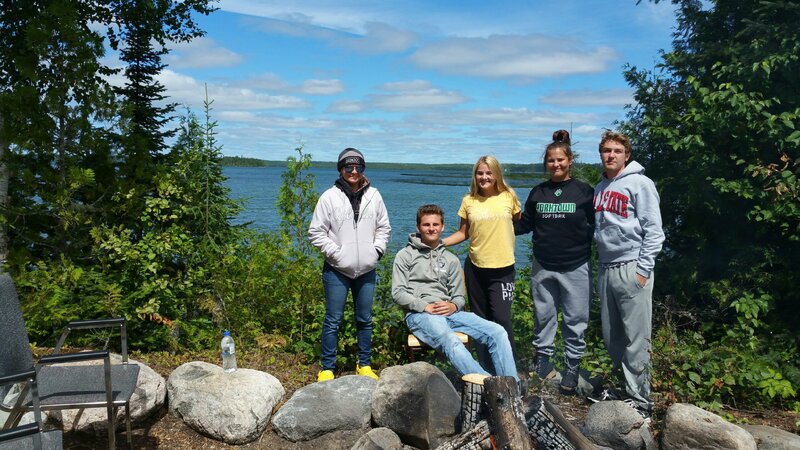 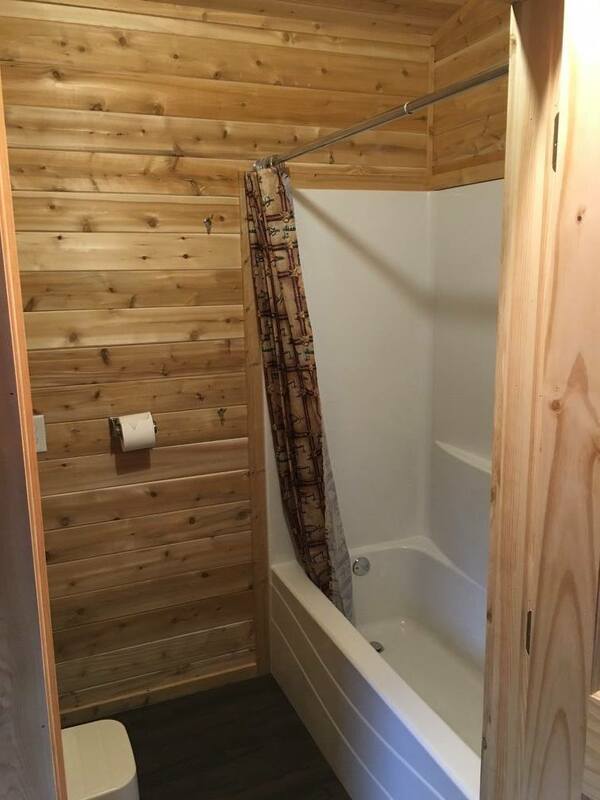 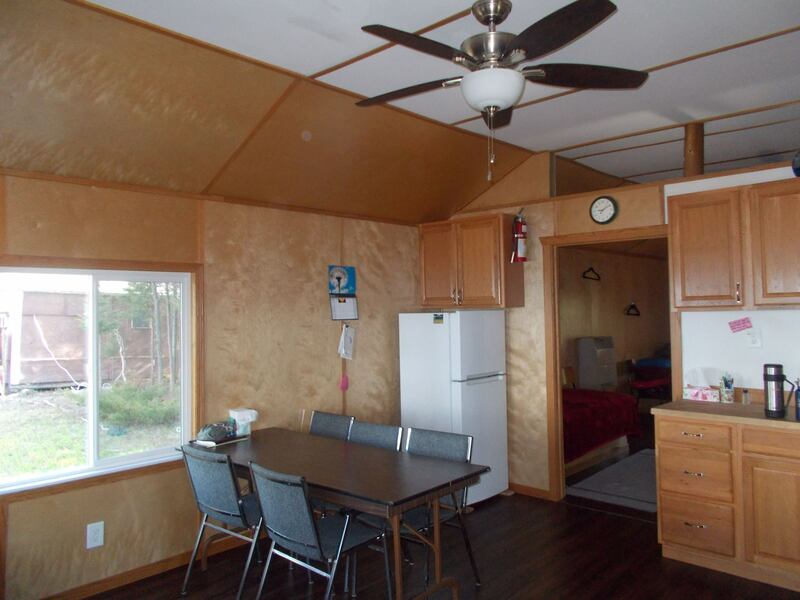 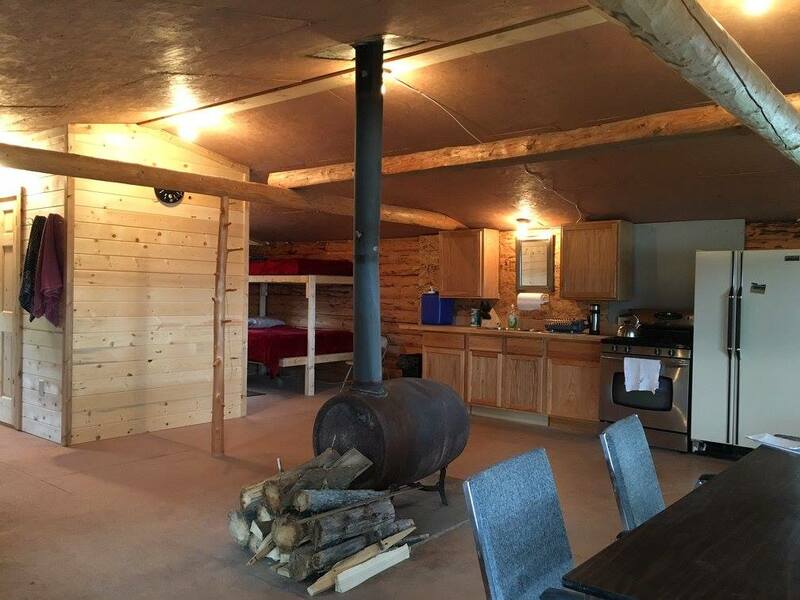 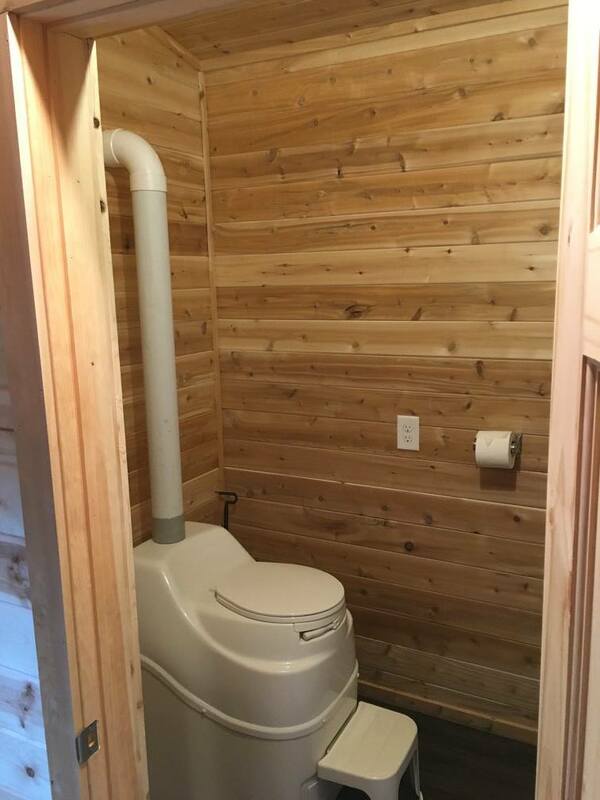 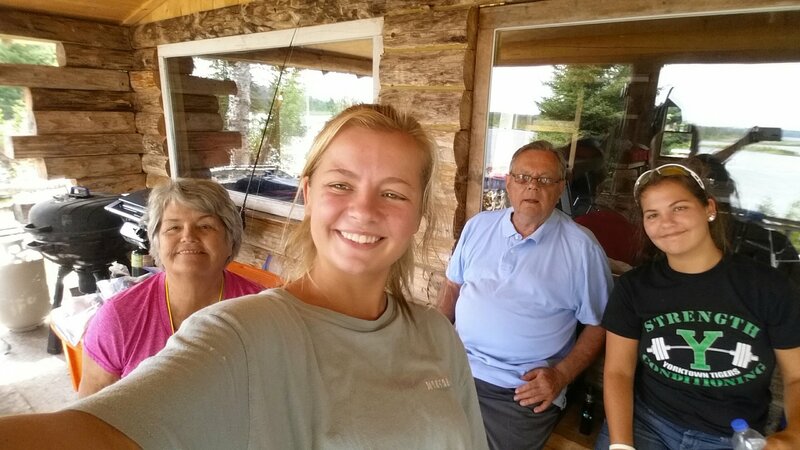 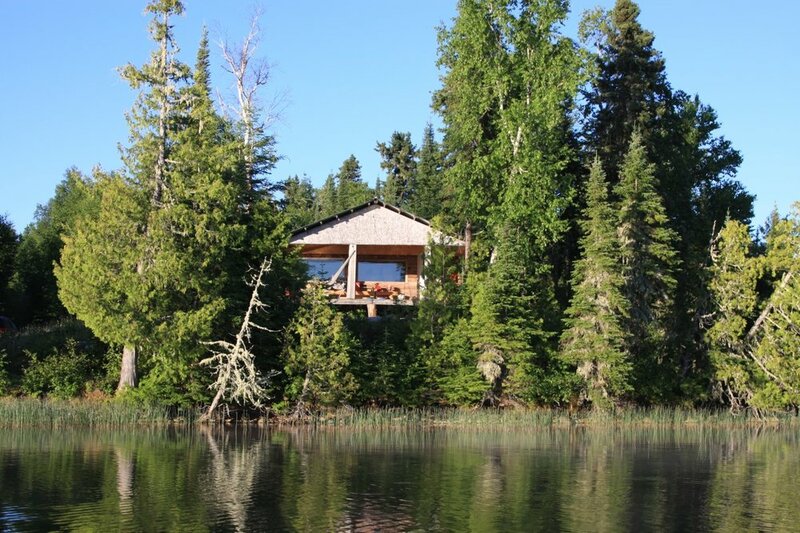 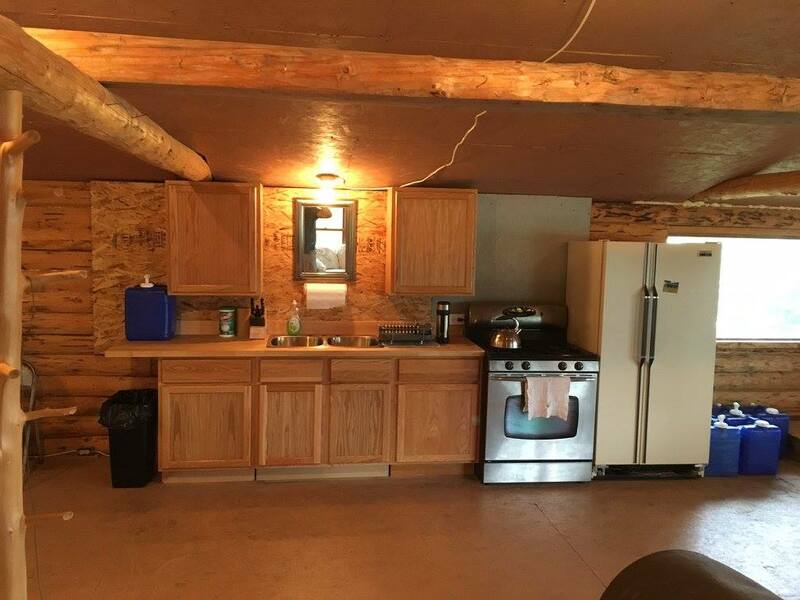 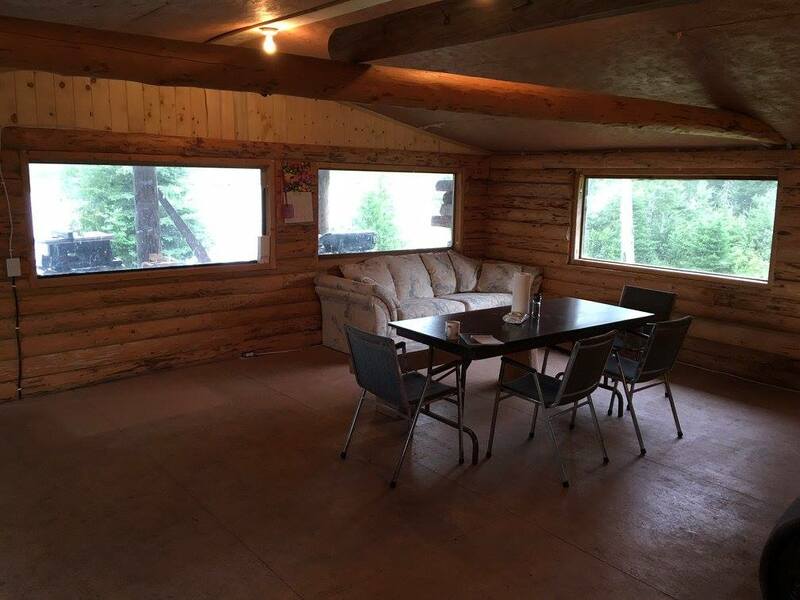 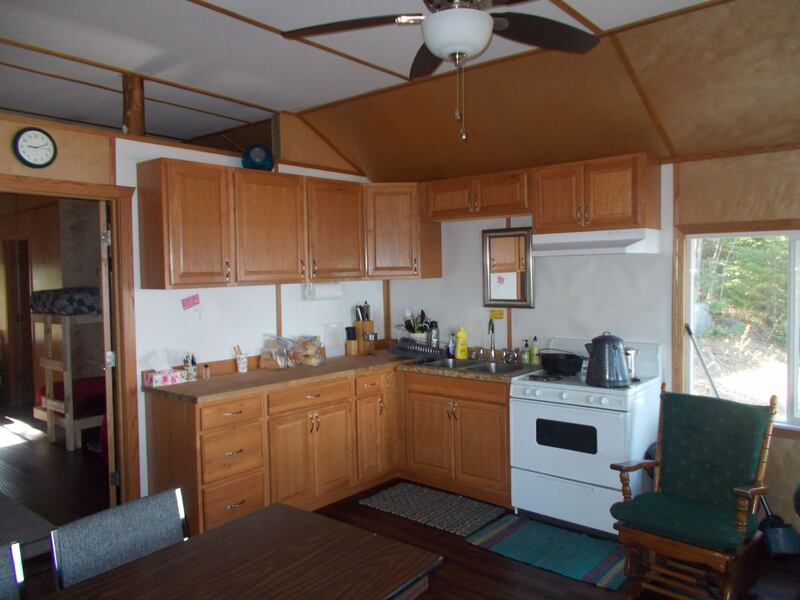 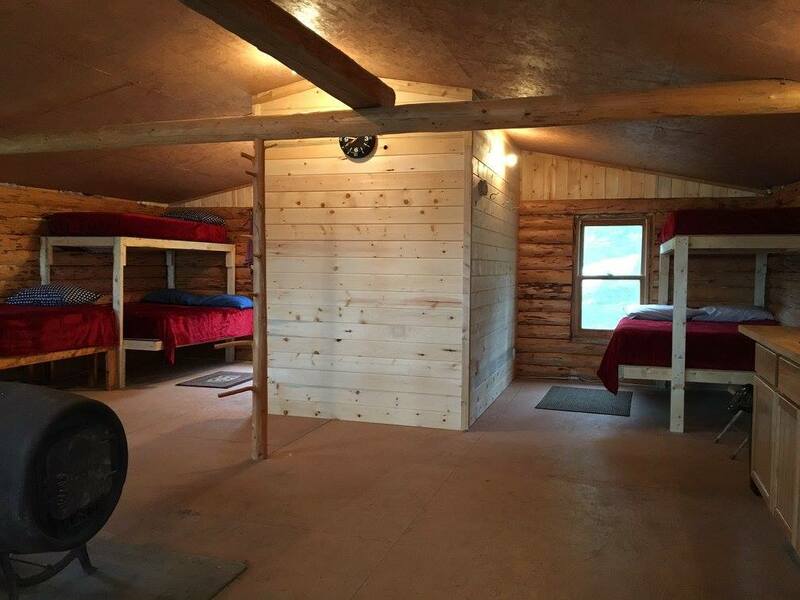 Enjoy panoramic views of Hanover Lake from within the 24′ x 40′ log cabin and listen to the loons sing from the 12 foot covered porch. 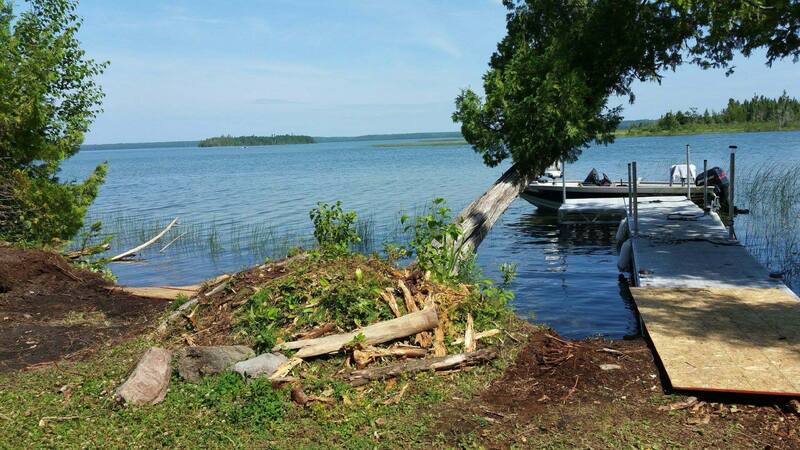 Water access comes via a new 32 foot aluminum dock and improved boat landing. 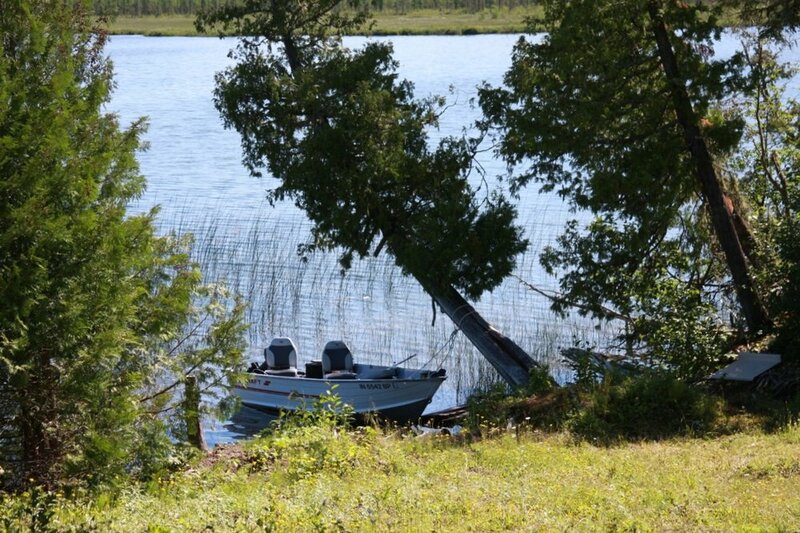 Equipment at this camp includes 3-14 foot Lund boats with 8hp Yamaha motors. 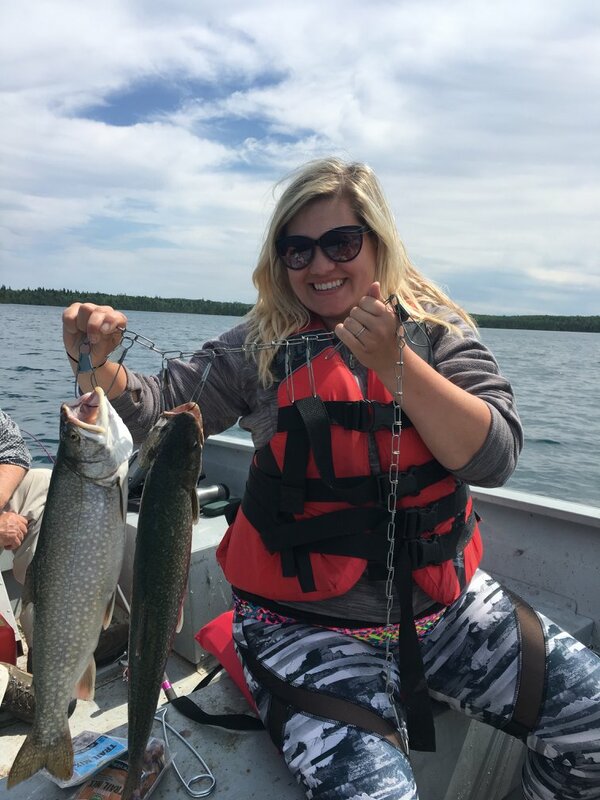 Comments about the fishing at this camp included “we had trouble catching the slot size for supper because the fish were too big”. 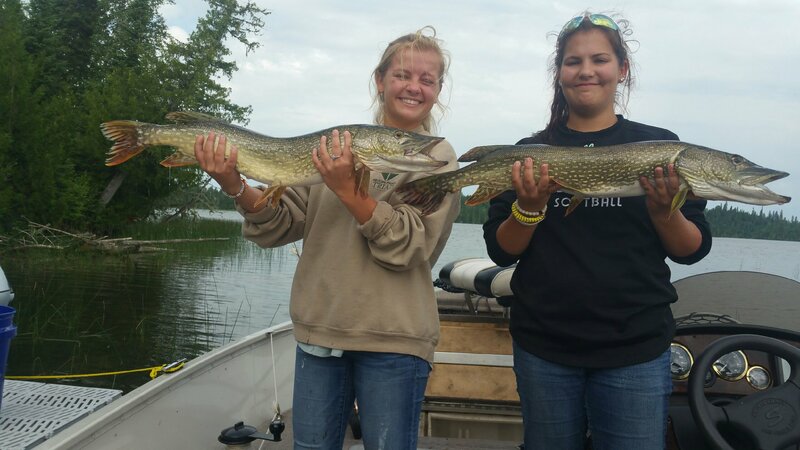 The largest walleye for 2005 was 26 inches and 30 inches for 2006! 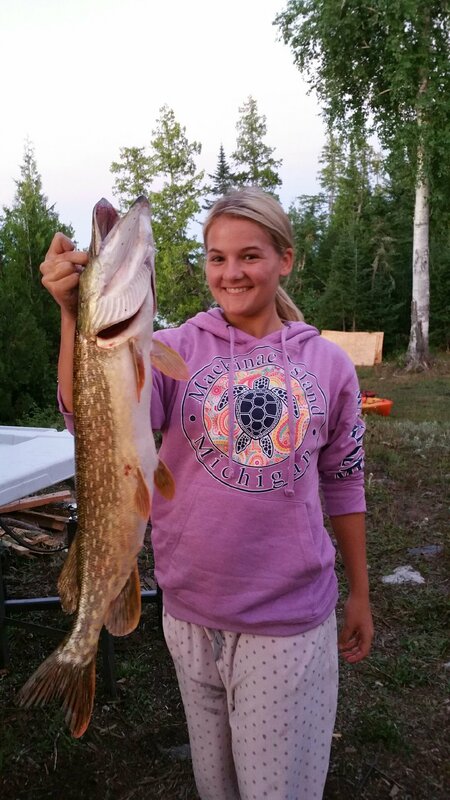 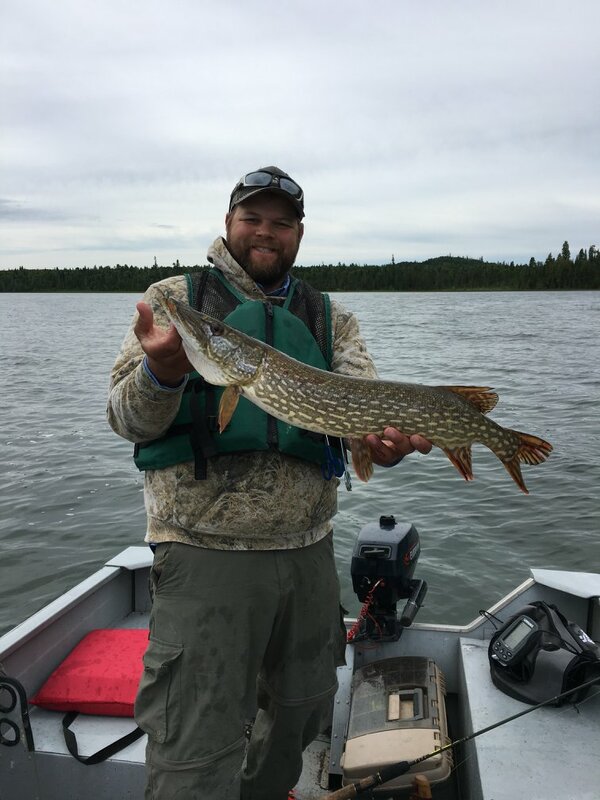 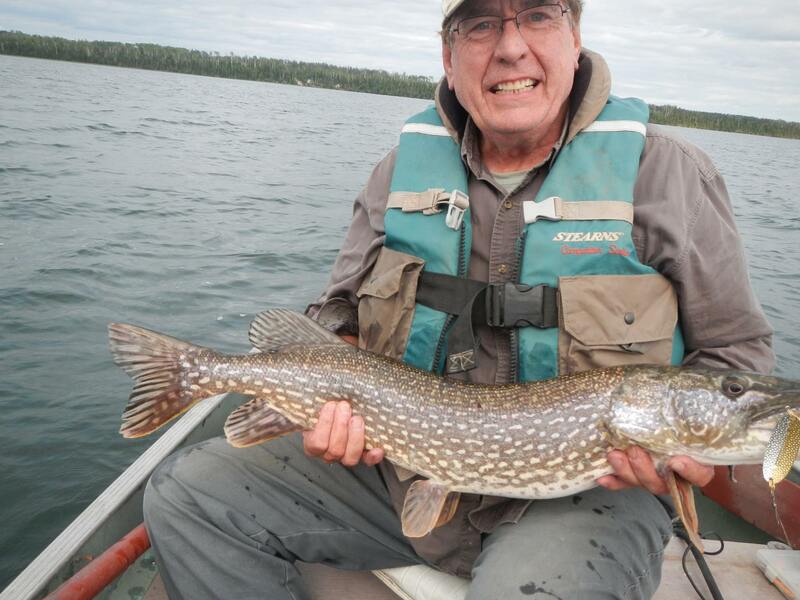 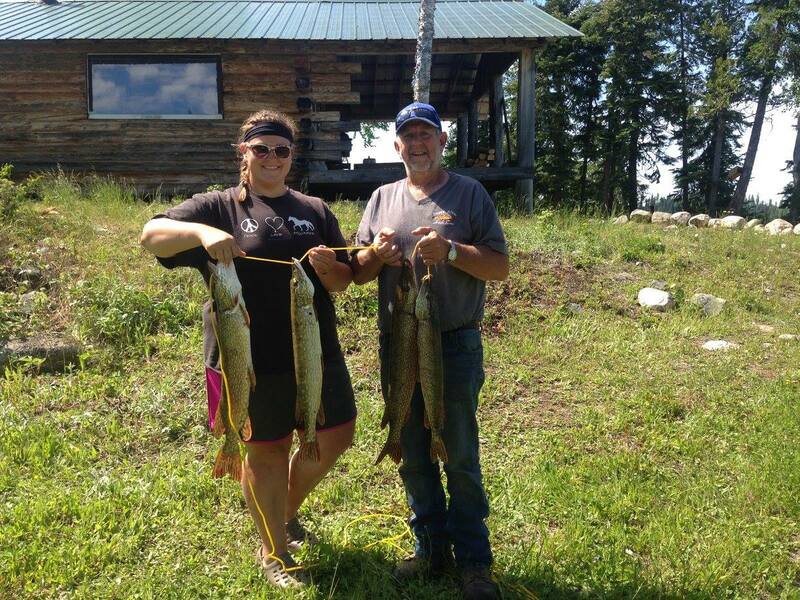 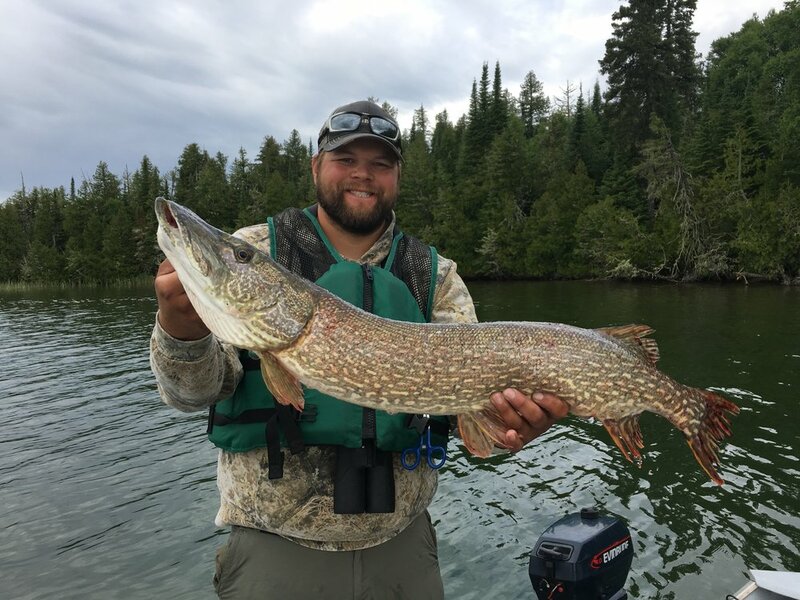 A few large northerns are caught each year like the 43 inch monster caught on Honeyhole Lake in 2005 or the 47 inch pike caught on South lake in 2007! 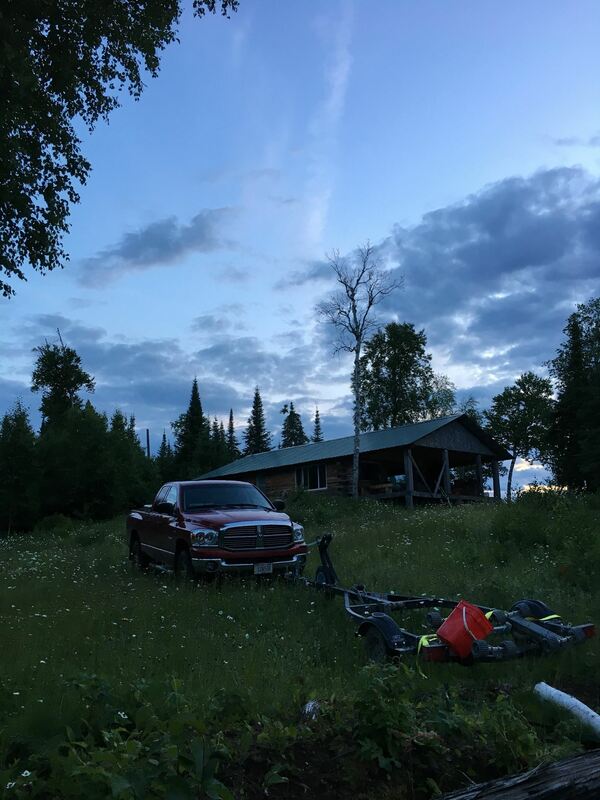 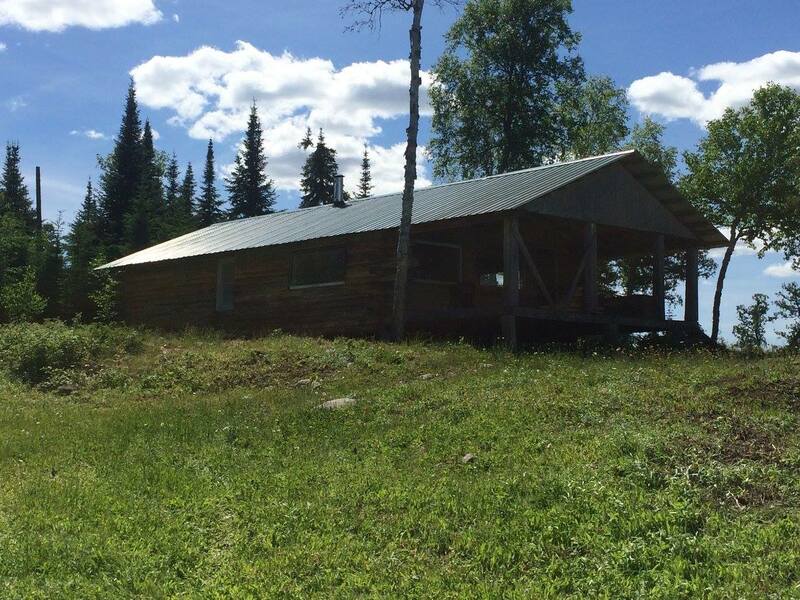 This camp would also make a perfect spot for an archery moose hunt as there are many animals seen throughout the summer. 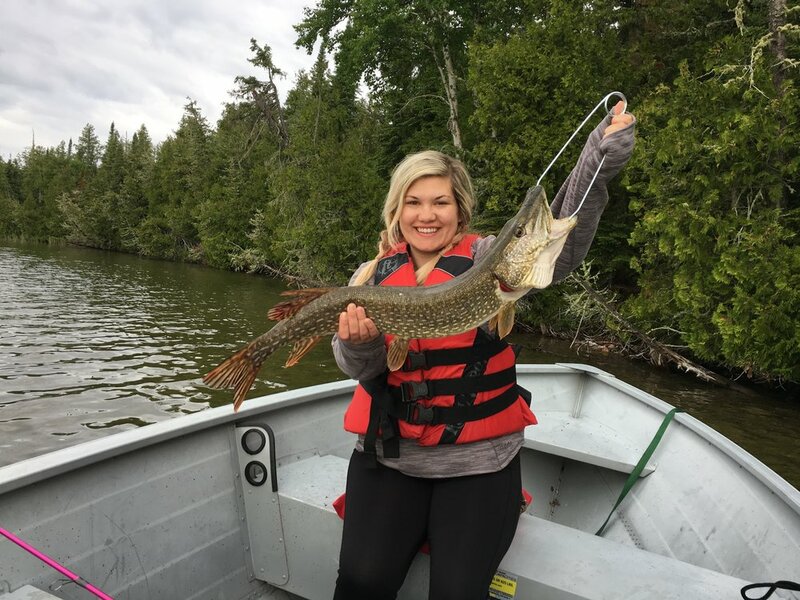 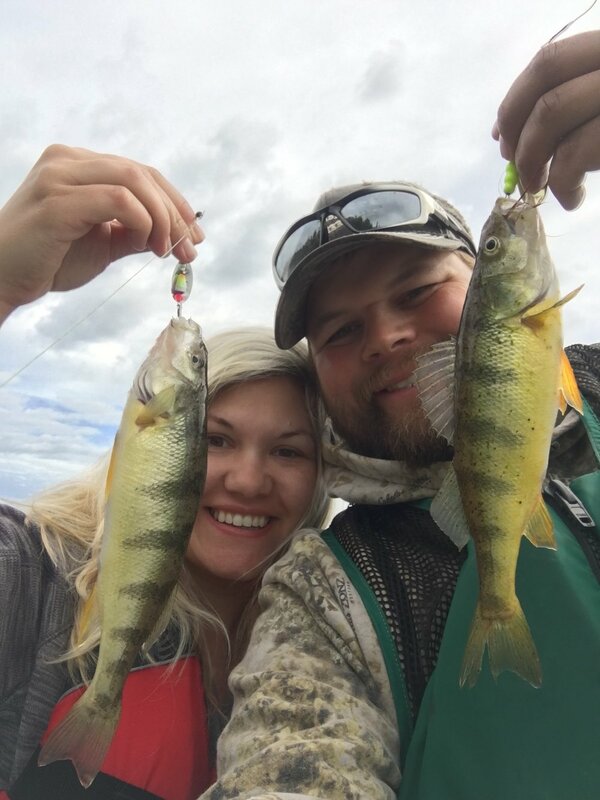 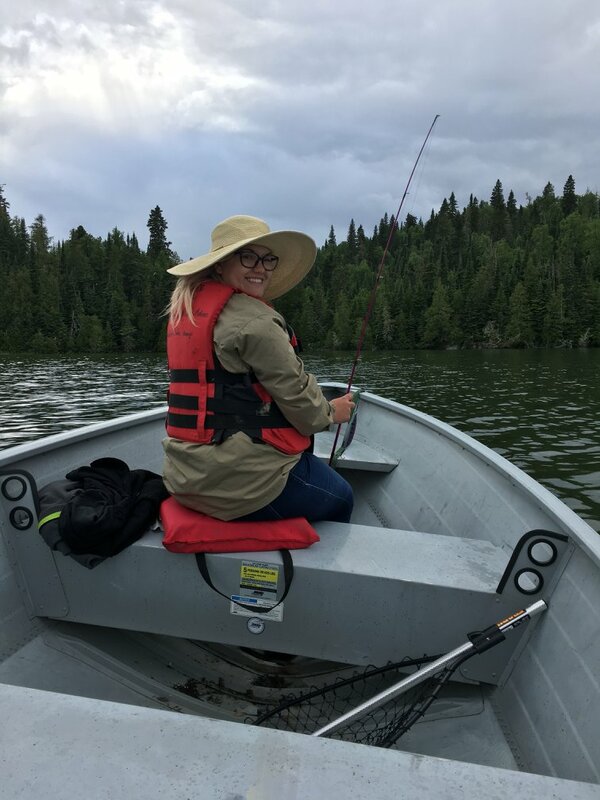 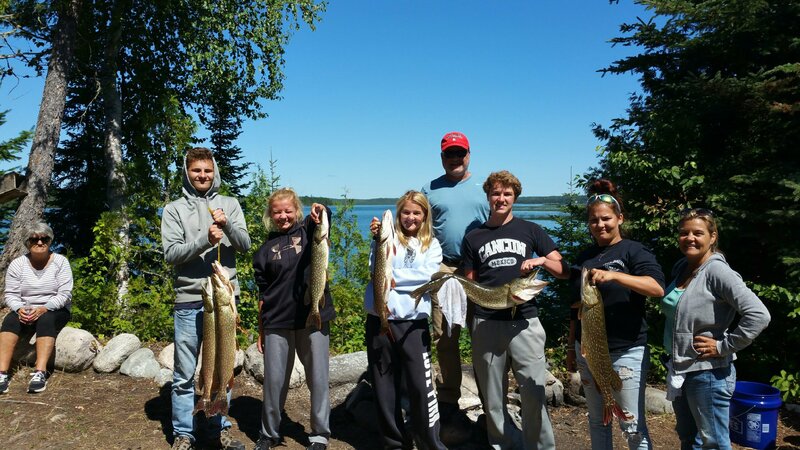 Lucy Lake (adjacent to Hanover) contains splake and lake trout.Mills Lake (adjacent to Hanover) contains trophy northern pike, yellow perch, and whitefish. 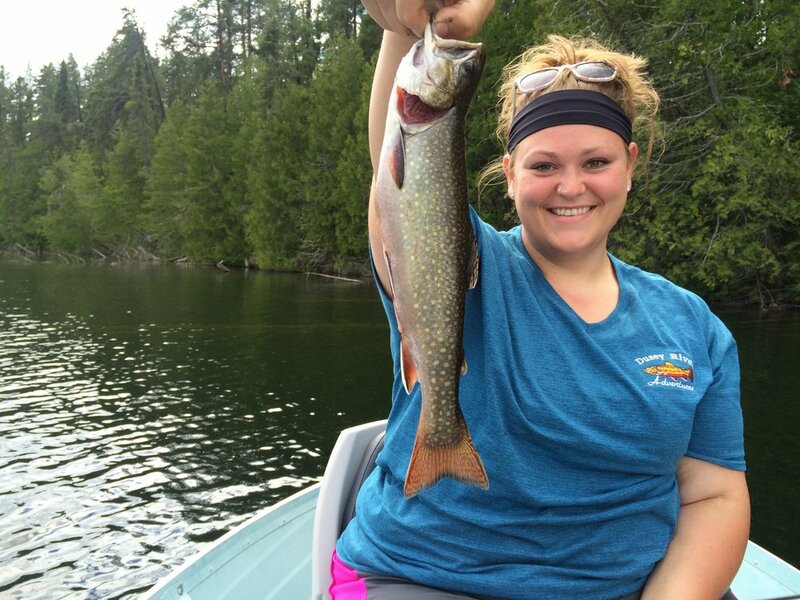 Hanover River and Lucy Creek are both excellent brook trout streams.